The skies will come to life with eight major meteor showers over the Northern and Western Hemispheres this year. 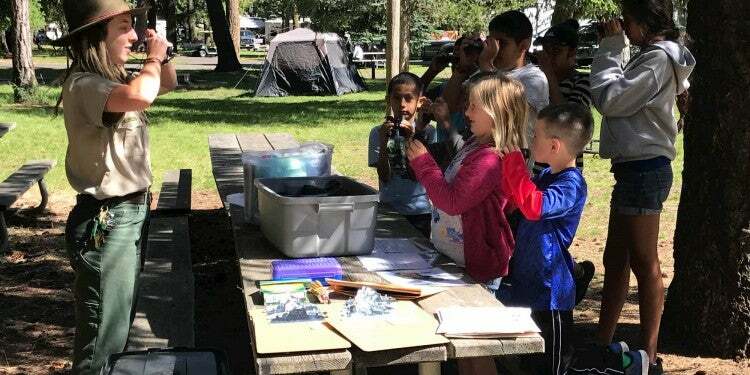 Across the continental US, from April to December, there will be multiple chances for avid campers to experience the celestial shows of 2019 meteor showers. Meteor showers are, quite simply, an increase in the frequency of what many people call “shooting stars.” During an identified “shower,” meteors streak across the sky at rates varying from 10 to 100 per hour. According to NASA, this phenomenon occurs as asteroid debris (called meteoroids) enter the Earth’s atmosphere. Bits of that debris then burn out spectacularly while passing through our atmosphere, forming meteors. A meteor shower is named by the constellation from which the majority of these shooting stars appear to originate. So, for example, during the famous Geminid meteor shower in December, the majority of meteors appear to come shooting out from the constellation of the Gemini Twins. During the Perseid meteor shower, the best place to look or fix a telescope would be—you guessed it – the constellation Perseus. This point, or constellation, is known as the ‘radiant’ of a meteor shower. 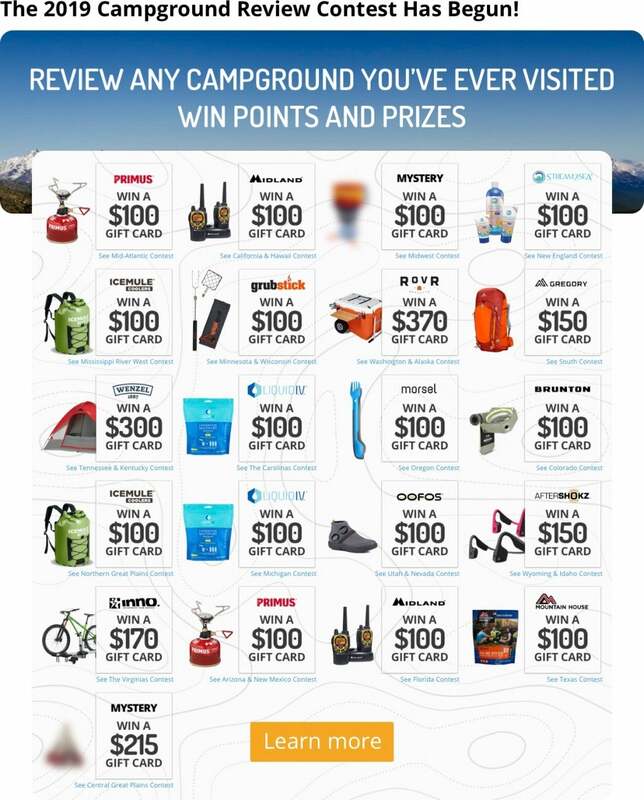 Then they will research campgrounds that fall within the best parameters and make a reservation early. But we’ve done the hard part for you. We’ve compiled everything you need to know about the eight major meteor showers of 2019 and a National Park campground recommendation for each. 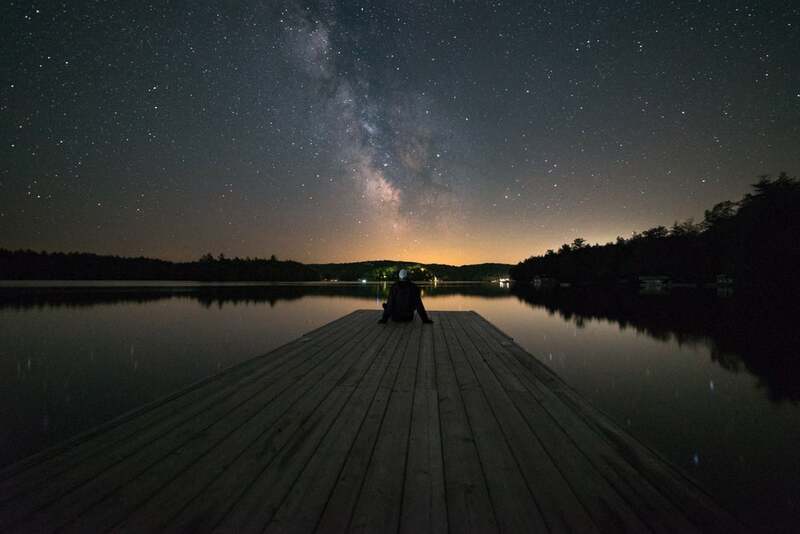 Keep in mind that while most of us will not be able to hop back and forth across the country, in each campground recommendation is a description of why it is ideal for that particular meteor shower. Using those suggestions, you can look for an option near you with the same exposure, weather, and availability. One added challenge for meteor shower camping in 2019 will be the alignment of the full, or nearly-full, moon during several of the most famous showers. The Perseid, Geminid, and Lyrid will all be washed out to some degree by the moon’s light, so it’s worth researching the moon phases in a given month. Keep in mind, however, that the ‘peak’ times and dates provided below are not the entirety of the event. Camping just before or after the peak of a meteor shower will still likely provide a higher than average number of shooting stars. In the very early morning hours of April 23rd, the Lyrid meteor shower will reach its peak at a rate of 10 to 20 meteors an hour. The star Vega near the northwestern horizon is the best indicator of the radiant point of the shower, and the higher it rises in the sky, the more meteors are likely to be observed. This means that the early morning hours looking northwest will offer the best viewing opportunity. Unfortunately, a waning gibbous moon (which means it was very recently full) will be in the same part of the sky during that time and will likely wash out many of the meteors. 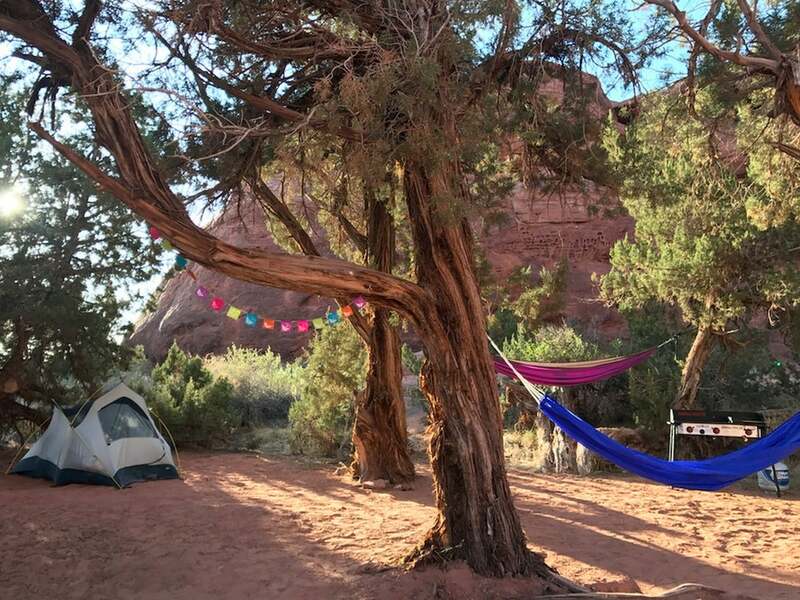 Image from The Dyrt camper Jenifer M.
April is the perfect time to visit the blazing red rocks around Moab, Utah, before the scorching summer heat and tourist hordes arrive. Canyonlands National Park allows visitors to spread out a little more than nearby Arches, and Needles Outpost Campground offers a perfect view of the northwestern sky. 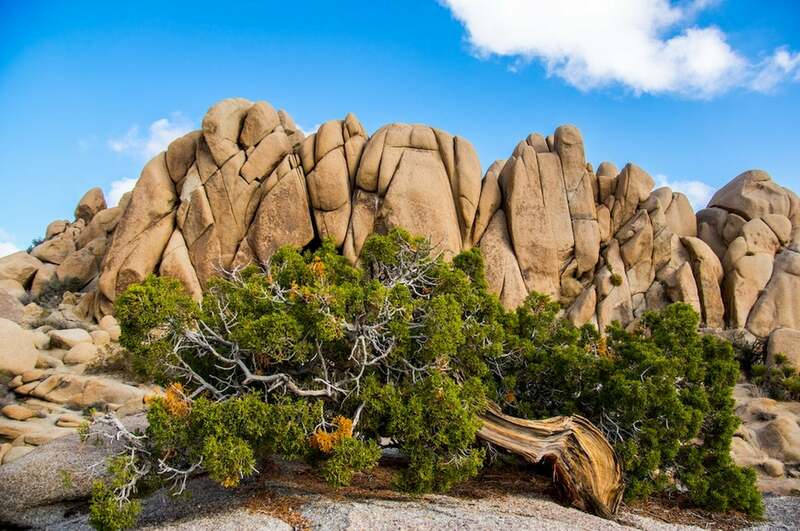 If large boulders near your campsite obscure the view, you can climb on top of them to watch the meteor shower in a desert sky with stars so bright you can practically hear them burning. Make sure that you and your vehicle are prepared for dusty, remote desert travel, although the campground itself offers a variety of amenities. Reservations are recommended. This year, most experts agree that the Eta Aquariids will be the best opportunity to experience an incredible meteor shower with the naked eye. Plan to be camping on the night of May 5th with a wide-open view of the southeastern sky. Aquarius will be low to the horizon, so make sure that you are seeing the true horizon, and are not in a hilly area. The debris which causes this shower is actually that of the famed Halley’s Comet. The frequency during peak hours from 3:00 AM can be quite spectacular; expect to see between 20 and 60 meteors per hour. Off the beaten path indeed, Kulanaokuaiki Campground on the island of Hawaii would be another stunning place to watch the Eta Aquariid meteor shower. 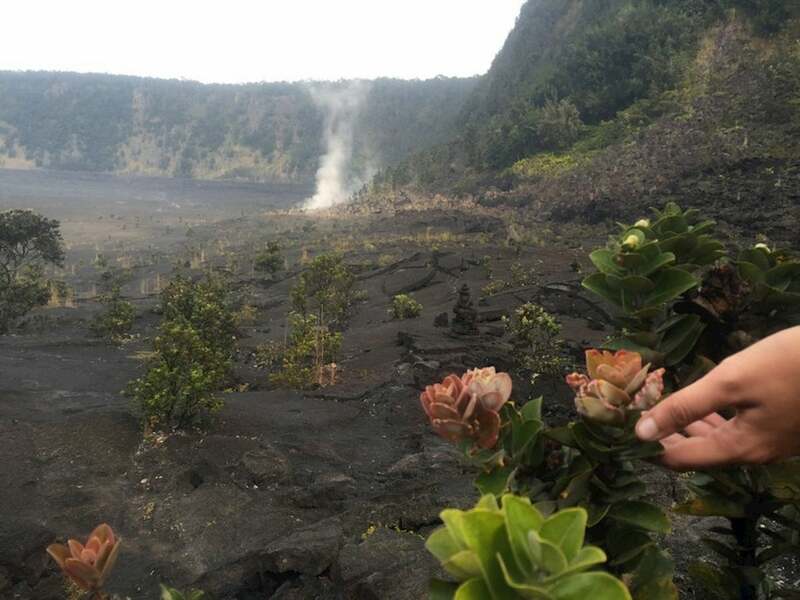 On the southern part of the southernmost island, surrounded by Hawaii Volcanoes National Park, campers should have an unobstructed view of the southern sky. Due to the more southerly location of the state, the radiant of the shower will be much higher in the sky, allowing more visible meteors per minute. 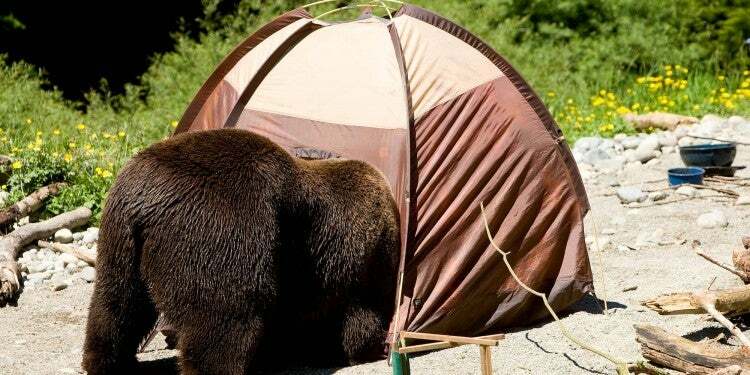 This campground is first-come, first-served. 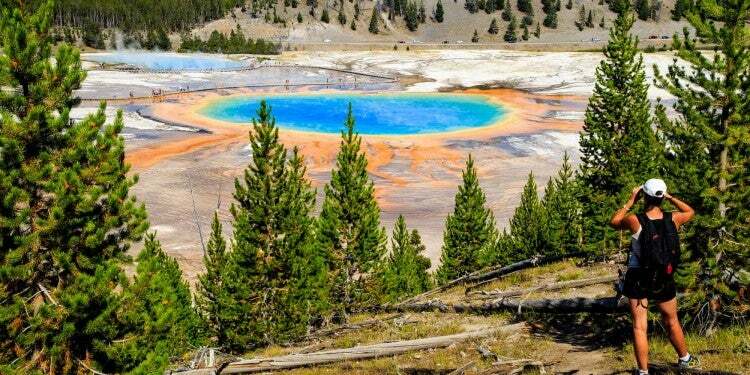 But in May, the tourist season has not yet started up in full swing, making it an ideal time to watch the meteor shower and visit a beautiful National Park. One of the most well-known meteor showers to occur annually, the Perseids can deliver up to 80 meteors each hour. 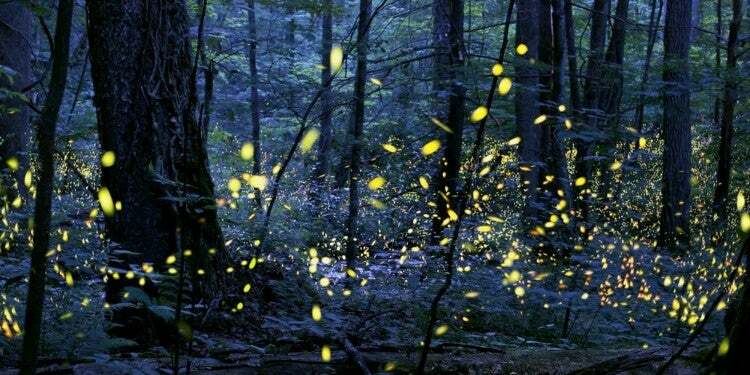 Unfortunately this year, they will be largely washed out by a beautiful full moon. August 13th is the peak, but the shower will be visible from the end of July. Look to the constellation Perseus in the northeastern part of the sky. One of the reasons that this display is the most popular is that the constellation is well above the horizon so there is less obstruction. Image from The Dyrt camper Erin S.
The August haze and humidity of many places throughout the country would obscure a meteor shower that’s already in competition with the bright moon. Wyoming, however, has that beautiful late-summer Rocky Mountain weather during August, with clear nights and warm (but not scorching) days. 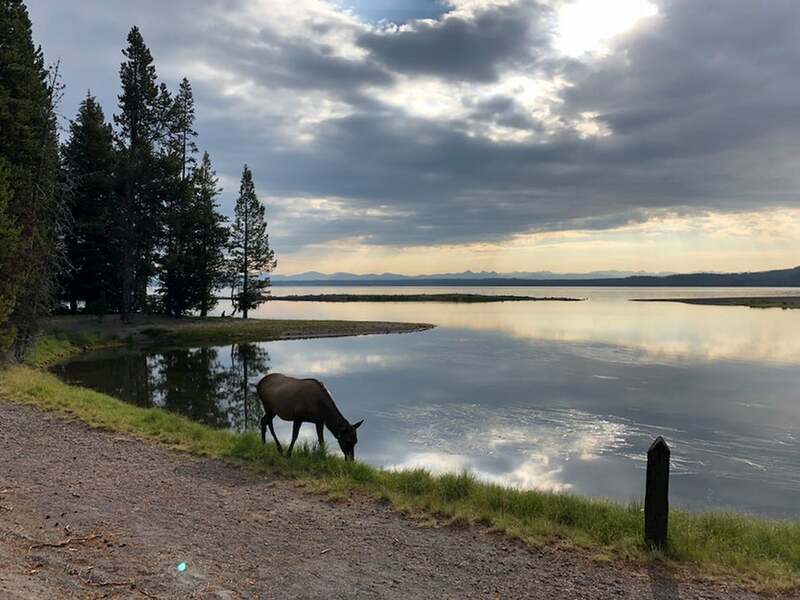 In Yellowstone National Park, Grant Village Campground lies on the western edge of Yellowstone Lake, opening the eastern and northern sky for prime meteor viewing. The campground itself is heavily wooded, with cool, shady spots for this mid-summer event. But the lake and open skies are just a short walk. With 430 sites available, it is the park’s largest campground. Reservations are strongly recommended due to the very busy summer season in mid-August. The Orionid meteor shower is a great one for East Coast sky watchers looking for an excuse to go camping. By its estimated peak on the night of October 22nd, the sky will be mostly clear from the persistent humidity of summer, and the temperatures should be comfortable. Although sometimes faint, the Orionid shower has the unique feature of frequent “persistent trains.” This is when a meteor leaves a streak through the sky for a few seconds after it has passed. As its name implies, the Orionids have a radiant point in the constellation of Orion which does not rise until the early morning hours. Image from The Dyrt camper Wanda K.
On the East Coast, fall is the perfect time to camp out and watch a meteor shower. Gone are the humid, hazy skies of summer, and the nights probably aren’t too cold yet. 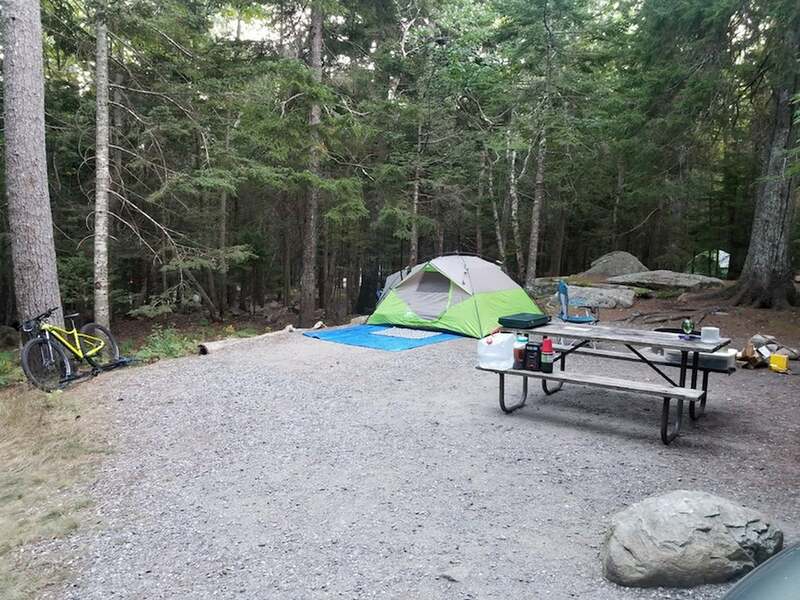 We know the week of October 22nd might be a little chilly up in Acadia National Park, but the Blackwoods Campground is open late in the season, and offers a dark sky with and an eastward view. Blackwoods Campground itself is surrounded by tall timber, but there’s beach access just a short walk from most campsites. As an added bonus, there may be some fall colors left by the time the Orionids get going. Be sure to call ahead and make reservations, and prepare for the possibility of cold weather. Viewing the Taurid meteor shower during its peak over November 11th and 12th may not provide the meteor frequency of other showers. The big appeal, however, is that when these meteors do appear, they often have bright, persistent trails which resemble fireballs. You may have to wait quite a bit longer to see one, but the reward is well worth the time. Once again, the early morning hours are the best time, looking to the west-southwest near the constellation Taurus. 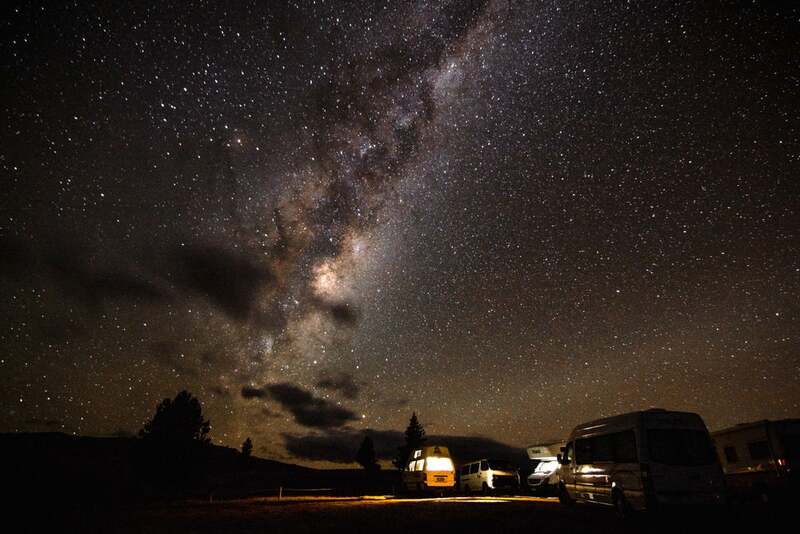 Image from The Dyrt camper Andrea D.
Camping in the largest subtropical wilderness area in the country is a great way to experience this beautiful place and view a potentially stunning meteor display. The Taurids will be in the south-southwestern portion of the sky, and Flamingo campground in Everglades National Park looks out over the Florida Bay with little coverage from trees or other obstructions. This campground is far removed from main roads and takes time to reach. 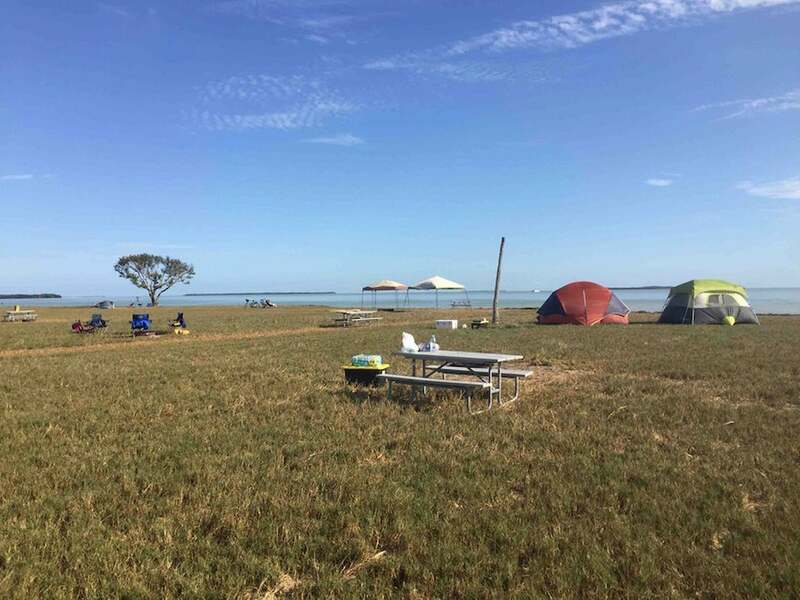 Flamingo Campground is first-come, first-served until the week AFTER the meteor display, so arrive early and do some research on backup options in the event that it’s full. If you want to see the Leonids, step outside your tent after midnight on November 18th. The waning gibbous moon will interfere with viewing to some extent. This particular meteor shower is famous for its variability. Several times in the last century, the Leonids have produced what was known as a ‘meteor storm,’ where meteors fell at a rate of thousands per minute! Unfortunately, 2019 is not predicted to be one of those years. The rate of meteors this year is estimated at around 15 per hour with a relatively low-to-horizon radiant, making this one of the less spectacular events of the year. Image from The Dyrt camper Dave M.
Thanksgiving in Joshua Tree National Park is quiet, cool, and beautiful, with a good chance of seeing a rare bloom of desert flowers. Indian Cove Campground is located near the giant boulders and ancient trees for which the park is famous. The skies are dark, and the air is dry during that time of year. 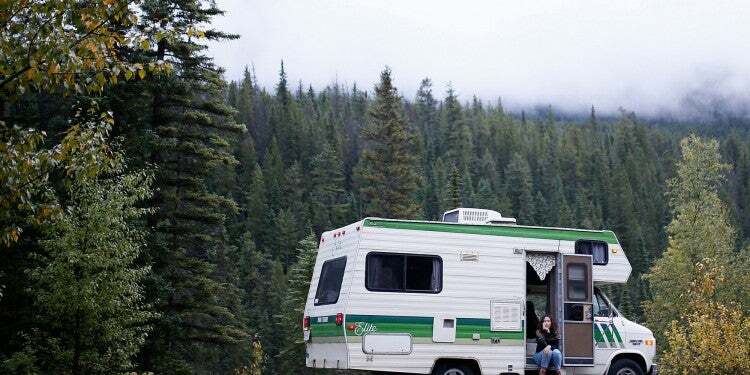 The campground offers a variety of amenities, including RV hook-ups, and it has unobstructed views of the horizon in every direction. For an even better vantage point, scramble up one of the many boulders. The Geminids are perhaps the most famous meteor shower of the year. They consistently produce bright, white meteors around 2:00 AM local time on or around December 14th. The rates average 50 meteors an hour on a dark night. Unfortunately, the shower will be a little washed out by another bright moon. But astronomers suggest that the Geminid shower will still provide many observable meteors despite the moonlight. Set up with a cozy sleeping bag in a wide-open field to enjoy the show. Image from The Dyrt camper Ashley E.
Although Olympic National Park is well-known for its high alpine and temperate rainforest areas, the Pacific Coastline is one of its most stunning features. Kalaloch Campground puts you, your tent, and your mug of hot chocolate on the front row of a spectacular meteor shower on a bluff overlooking the waves. The moon will be bright, but seeing the full moon over the Pacific is view worth catching, too. 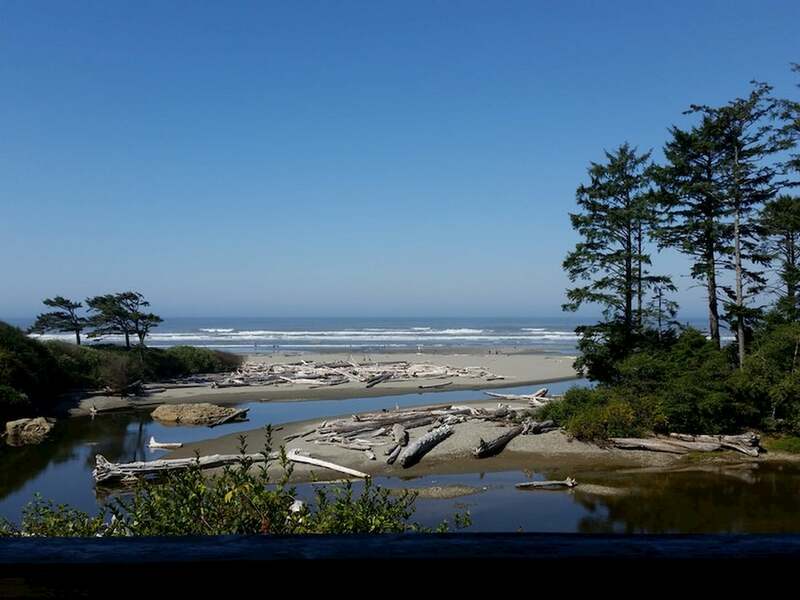 Kalaloch Campground has RV amenities and tent sites, and does not take reservations in the off-season, although it is open all year. Show up early to claim your spot, and check with the local rangers in case of road closures. Camping out for the Ursid meteor shower is a lovely way to wrap up a year of camping for meteor showers. Although the shower is not particularly brilliant most years, averaging around five to ten meteor showers per hour, the waning crescent moon and crisp, clear winter air will make a lovely backdrop for the show. You’ll want to layer up to watch the peak during the pre-dawn hours of December 23rd. For all these meteor showers in the ‘off season,’ make sure that the campground you choose is open year-round. Image from The Dyrt camper Vanessa M.
In West Texas, the skies are clear and the air is dry, giving visitors tremendous stargazing opportunities year-round. Head south for the last meteor shower of 2019, where Chisos Basin Campground in Big Bend National Park offers slightly warmer (although potentially windier) weather conditions than other National Parks to the north. Elevated at 5,400 feet on a plateau amidst scattered rock formations, the setting is stunning and the sky is wide open. 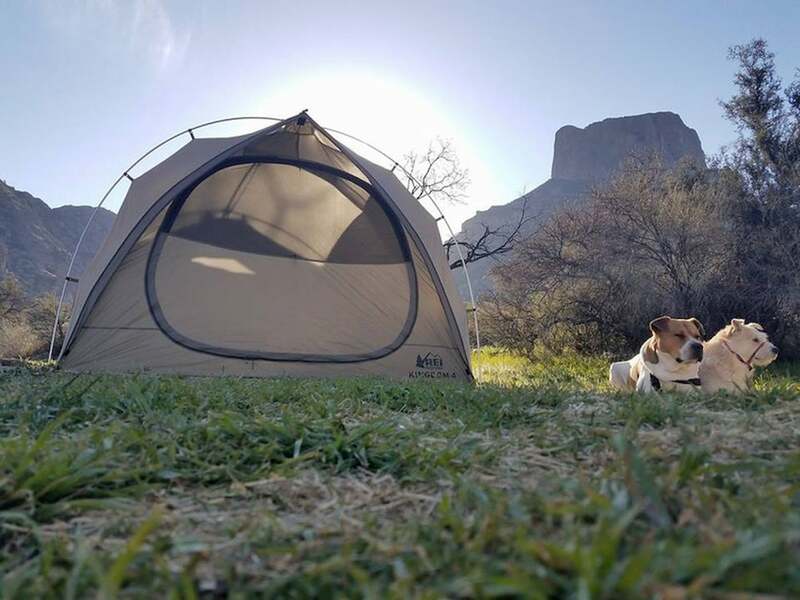 This is probably the most popular campground in Big Bend thanks to its gorgeous views, so you’ll want a reservation. 1. Dress for the weather. If you’ve read this far, you may have noticed a theme. Meteor showers tend to peak in the early-morning hours when it’s the coldest. Dressing for warmth is key. Fortunately, if you are already camping, you will have sleeping bags, hats, coats, gloves, and other toasty layers with you. 2. Give your eyes time to adjust. Another crucial step in preparing to view a meteor shower is letting your eyes fully adjust to the dark. The rods in our eyes, which are the cells in charge of our night vision, take a full 20 minutes to activate. With this in mind, turn off the flashlights and headlamps well ahead of the main event. 3. Choose a campsite with a clear view of the sky. 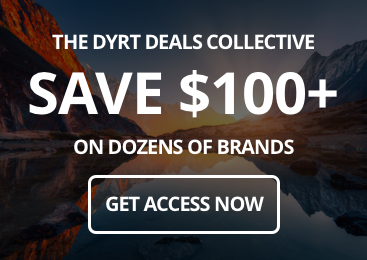 Avoid camping in narrow canyons or deeply wooded areas when camping to watch a meteor shower. You want a place with as wide a view of the sky as possible. Depending on the direction you will be looking (north, south, east, or west), travel in that direction, away from the closest urban areas. For Example, if you live in Denver and you want to watch the Eta Aquariids (which will appear close to the southern horizon) you should travel well south of any major city lights. Otherwise, you will be staring towards the horizon most obscured by light pollution. Eager campers are already booking campgrounds for 2019 meteor showers, so get those reservations ASAP. 4. Know where to look. Using a star chart app is a great way to learn about the constellations, but it may not be necessary when viewing the meteor shower. Although radiant constellations are used to identify the general area of the sky, most meteors appear 30 degrees away from the centerpoint and travel in all directions. If you do want to consult a star chart on your phone, turn down the brightness on your screen to preserve your night vision.